A frigid winter weekend in the mountains is a great way to relax, exercise, and spend time with family and friends. But for some of us who hit the slopes, even a short ski getaway requires thorough meal planning. Thankfully, several resorts located within a few hours of Philadelphia offer gluten-free options for sensitive diners. 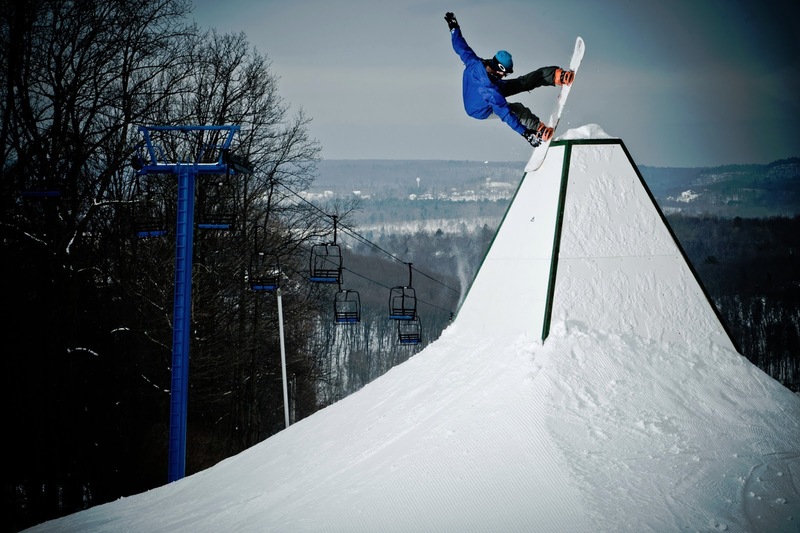 At Shawnee Mountain in the Poconos, skiers can enjoy gluten-free foods in all dining areas. Shawnee works closely with gluten-free purveyors, including OMG...It’s Gluten Free, to build a special menu that features sandwiches, burgers, pizza, pasta, sweets and snacks. “We have families who come here every weekend because they know there are safe things for them to eat,” says Shawnee Mountain food and beverage director Tamy Galfo. Camelback Mountain Resort, also in the Poconos, has seven dining locations and addresses common food sensitivities with gluten-free and other items. Jack Frost and Big Boulder don’t have regular gluten-free menus, but are able to accommodate groups with gluten-free options such as salads and chicken strips, using dedicated equipment and utensils. Although Montage Mountain Ski Resort in Scranton only offers a gluten-free menu in the summer during water-park season, they are flexible and allow families to bring their own food and supplies for birthday parties. In the Lehigh Valley, Blue Mountain is able to serve gluten-free diners, while The Grille at Bear Creek Mountain has a gluten-free version of its traditional menu. Over in New Jersey, Mountain Creek now offers gluten- and lactose-free choices at The Market, its cafeteria-style dining location. For skiiers looking to venture outside Pennsylvania and New Jersey, Hunter Mountain in New York is accommodating to gluten-free guests. The resort has over a dozen dining locations and many options for gluten-free customers, including pizza at VanWinkles Restaurant. Hunter Mountain’s kitchens take precautions for various dietary restrictions and also provide customers with copies of manufacturers’ ingredient labels upon request.